We are excited to announce that we have acquired Proconsul, a brother to the legendary Frankel and fellow Group 1 winner Noble Mission, and undoubtedly the best-bred new stallion in Britain in 2017. The four-year-old son of Galileo was purchased from his breeder Juddmonte Farms and will stand at Mickley Stud with an introductory fee of £3,500. "We're delighted to be standing Proconsul at Mickley Stud and we look forward to welcoming breeders to see him," said Mickley Stud owner Richard Kent. "He's a fine-looking colt and obviously his pedigree speaks for itself. "It's always been a pleasure doing business with Juddmonte and it is encouraging that they have retained a number of breeding rights in Proconsul. "We bought Multiplex from Juddmonte eight years ago and he has been a grand servant to Mickley Stud and to our many clients. It was sad to say goodbye to him this week as he left us for stud in Bahrain but we're sure that Proconsul will prove to be a worthy replacement." 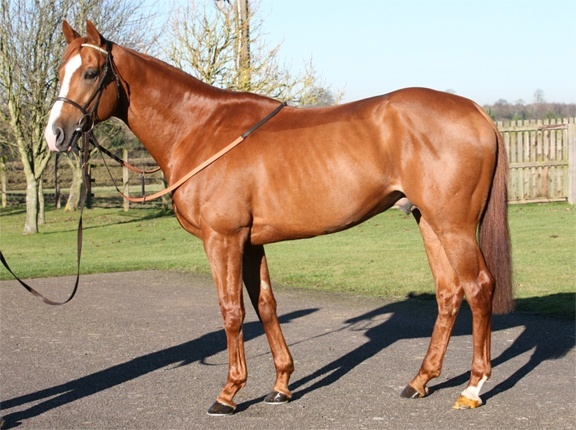 Proconsul was trained by Andre Fabre for owner-breeder Khalid Abdullah. His dam, Kind, was a Listed-winning daughter of Danehill, and Proconsul is the third of her foals produced from matings with seven-time champion Flat sire Galileo. He is also now the fifth son of Kind to stand as a stallion. His full brother Frankel needs no introduction, as his first crop of two-year-olds were the subject of intense scrutiny last year. His first progeny ran in 2016, producing 6 black type winners from his first crop. Noble Mission stands at Lane's End Stud in Kentucky, while their three-parts brother Bullet Train, winner of the 2010 Lingfield Derby Trial, now plies his trade at Crestwood Farm in Kentucky. Morpheus, that trio's half-brother by Oasis Dream, resides at Tally-Ho Stud in County Westmeath. Proconsul is also a half-brother to black-type winner Joyeuse.